Get ready to take off on a new reading adventure with these bookmarks that are truly out of this world. First your kid will colour these bookmarks with outer space scenes, then she'll need an adult to help her snip along the edges of the rectangles. Once she's done she'll have her very own hand-decorated set of bookmarks. Space cats may be different from Earth cats, but they are just as lovable! Add funky colors to this feline for a fun, outer-space adventure with your child. 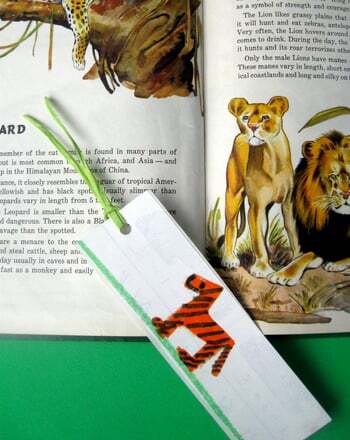 Support your first grader's interest in reading with this decorative bookmark that illustrates a favorite scene from a loved book. Brew up an outer-space potion with this spooky space witch! Little space explorers will love coloring in this stellar scene. Claim your own outer-space alien territory with this space scout! Your little astronaut will love coloring this stellar star sheet. Time to call in the space ranger for some stellar assistance. Have an outer-space adventure with this fun coloring page. 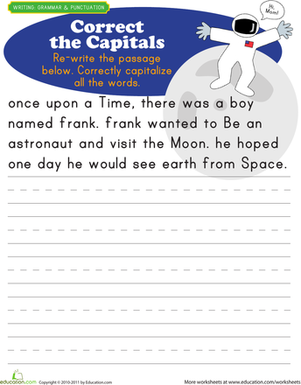 Spark your first grader's excitement for geometry with a little outer space shape practise. Can he count all the shapes in this space scene? A coloring page on the Space Needle, for 1st-graders studying world landmarks and geography.